Mattresses are the most important component to a healthy sleep environment, and yet they are sometimes the first bedroom fixtures to be neglected. A mattress is an important investment, and when cleaned properly and maintained regularly, mattresses can last longer and continue to promote ongoing healthy sleep. Sleepers can spend between $300 and $40,000 (wow!) on a new mattress, and that doesn’t include costs for bedding, bed frames, pillows, and other bed and bedroom accessories. The mattress price tag alone puts this kind of purchase in the investment category for most people, and that’s why it’s so important to protect this essential health investment. A Better Sleep Council survey shows the importance of a new mattress, as it is considered to be the best investment to improve health and happiness. In the study, people said a new mattress is even more important to them than a new car, TV, or visit to the spa. If treated properly and maintained, a mattress can last up to 10 years. More high-quality mattresses tend to have longer warranties due to the higher level of durability and life cycle of the mattress, while lower quality mattresses have shorter warranties. A mattress warranty is important to protect consumers from product defects that are out of the buyer’s control. That said, regular wear and tear is not something that is covered in the warranty. Also, if a mattress is not properly cleaned or protected, any stains, soils, or fluid diffusion on or into the mattress can make a warranty totally void. In order to protect your warranty, it is essential to know how to clean your mattress to keep it in good and clean condition. It’s important to read your warranty and understand what is and isn’t covered, and what steps you can take to protect your warranty. Learn about what is covered–and not covered–in our guide to Understanding Mattress Warranties. Proper mattress and bedding cleaning and maintenance can also help prevent health risks. Cleaning your mattress and bedding regularly can decrease the number of allergens and dust mites that cause allergic reactions and common allergy symptoms. Pests are also attracted to humid places and bedding, so ensuring your mattress is clean and dry is an important part in nurturing a healthy sleep environment. Mold, caused by spills, accidents, and moisture, can also present health risks. It’s important to address any spills or mold by immediately spot cleaning your mattress to make sure you’re solving the issue and not allowing the mattress condition to get worse. Making mattress cleaning part of your regular routine can help prevent these health risks and will assist you in both protecting your investment and prolonging the lifespan of your mattress. In this section of the guide, we’ll walk you through several different mattress cleaning options (professional or do-it-yourself). Whether you’re considering hiring a professional service or you plan to approach your mattress cleaning with DIY methods, it is important to educate yourself on these common mattress issues and how they can be cleaned and resolved. This mattress cleaning guide focuses mostly on do-it-yourself mattress cleaning methods. Professional mattress cleaning is also an option, and there are companies that specialize in both residential and commercial services. Professional cleaners range from companies that specialize in mattress cleaning only, to others that offer mattress cleaning along with other services for carpet, upholstery, tile and grout, and furniture. Pricing can range from $60 to $200 (and some will price your service by quote) and the process can take from 20 minutes to 2 hours, plus drying time. Professionals will recommend a certain amount of time to wait before making your bed again, as the mattress needs time to dry and for the cleaning solutions to dissolve. A great way to find a professional mattress cleaning service is to consult the Better Business Bureau and Yelp. You can search for specific businesses in your area by using your address or zip code. On Yelp you can search mattress cleaning near you, and some businesses have a quote request button that will auto-populate an email to send with your project information and your zip code. When selecting a mattress cleaning service, we recommend looking at customer reviews to ensure you’re selecting a reliable company in your local area. Reviews can help you determine how a company stacks up against its competitors. There are several common issues that can prevent your mattress from doing its job (providing a healthy sleep environment and a good night’s sleep). You’ll find a section here for each scenario, plus tips and tools for cleaning your mattress. What is spot cleaning and stain removal? Everyday life with kids, pets, and our own daily habits can make mattress stains possible, even when precaution is taken. Accidents just happen! Mattress stains are very common and occur when something is spilled on a concentrated area, usually on the surface of the mattress. The good news: mattress stains can be improved and many times removed completely with fast action using proper cleaning techniques and products. If a spill or accident occurs, it is best to address the situation immediately with spot cleaning to remove the stain. To ensure a mattress lasts for many years to come, stains should be removed with spot cleaning to prolong the quality and life of your mattress. If you have a spill or a stain and just ignore it, you need to understand that if it isn’t taken care of, the stain is something you’ll have to live with for up to 20 years or the lifespan of your mattress. Plus, the issue could also potentially cause other health risks. Note: If a stain or stains are present on a mattress, a mattress warranty or any claims filed may be void due to the stain(s). Follow the steps below for all stains, except for blood stains. For blood stains, you’ll want to refer to Step 6 for more specific instructions. Tip: Put all bedding into the washer immediately. Tip: Use a towel or paper towels to gather as much fluid or liquid that made its way through the bedding onto the mattress. Tip: Don’t overdo it with the spray or cleaning solution. You don’t want to soak the mattress too much, but just enough to work with the stain. Tip: Use a gentle scrubbing motion to work the cleaner into the stain. Tip: Moisture and mattresses don’t go together very well. Make sure you let your mattress and stain area(s) dry completely, or you run the risk of making the issue worst. Tip: Use hydrogen peroxide (1/4 cup) and dish soap (1 tablespoon) and table salt (1 tablespoon). Or, if you’re interested in a natural cleaner, you can make your own. Follow the recipes from this Today.com article, and learn more from pet guru Cesar Millan on natural cleaning products. Because we spend a third of our lives sleeping in our beds, it’s important to address mold as soon as possible due to the possible health risks involved. Mold is very common and many times goes undetected on mattresses. If you’ve identified mold on your mattress, it is important to assess the area(s) and determine if you can remove the mold or if you need to completely replace the mattress. Note: Mold can be an issue with memory foam mattresses, especially in areas with high humidity. Typically, the mold issue happens if the bed frame or platform doesn’t provide enough ventilation. Consider a mattress platform that allows for good air flow. Follow these instructions for mold cleaning and removal. Tip: Throw out the vacuum bag so mold doesn’t transfer to the air on your next vacuum. Tip: Use a half of a cup of your desired product in a bowl and allow a cleaning cloth or sponge to absorb the product. Tip: Make sure you still have enough cleaning solution on the cloth or sponge to work into the mattress, without oversaturating the mattress. Tip: Work the sponge or cloth and product into the mold area in a clockwise motion. Tip: Spray it directly onto the mattress without oversaturating the area. Lysol can help kill spores inside the mattress padding. Tip: Make sure the mattress is completely dry before making the bed. Consider a fan to help dry the mattress. Read some helpful tips and recipes for using hydrogen peroxide, vinegar, and baking soda to clean mold on the Maids blog here. Sources: HGTV.com, Goodhousekeeping.com, and BHG.com. Dust mites are tiny pests (you can’t even see them with your naked eye) that feed off of dead skin from humans and pets. Dust mites prefer higher temperatures and live in bedding, mattresses, and furniture. They can cause allergy issues, sneezing, and eye and nose irritation. Bed bugs are tiny flat-bodied brown pests that bite and feed on blood from humans and animals. They are really good at procreating, and lay hundreds of eggs. They can go unnoticed and get into your home by traveling inside from furniture, clothes, and luggage. Bed bugs live in beds — bed frames, mattresses, and box springs. See our guide to Dealing with Bed Bugs to learn more about how to deal with a bed bug infestation. Although neither dust mites or bed bugs can transmit diseases, they are true pests that can cause health risks and continue to spread if not addressed. There are ways to address both kinds of pests, and it’s best to take action immediately to prevent further population growth and spreading. Unlike dust mites, which are everywhere in your home, bed bugs can spread into other rooms and neighboring apartments. If you see blood stains on your bedding, dark spots, bed bug shells or skins, or notice an odor caused by the bug scent glands, you’ll know that you’ve got a bed bug issue. Follow these steps to kill and prevent dust mites. Tip: Dust mites like hotter climates (above 70 degrees Fahrenheit), so keep your thermostat low. Tip: It’s best practice to wash your sheets and linens in hot water once a week. Tip: These covers can help prevent dust mites from getting into the mattress and pillow. Tip: The hot water and steam will kill off dust mites. Tip: Use roll shades instead of heavy fabric window coverings. Tip: Use hot water and consider using washable rugs only. Tip: Use a HEPA filter. Tip: Try a HEPA filter vacuum cleaner to prevent dust mites from getting back in the air. Follow these steps to kill and get rid of bed bugs, and check out our guide to Dealing with Bed Bugs to learn more. Tip: Look around at your clutter and bed bug gathering areas, and consider neighbors who may have the same issue. Tip: A local extension agent can help you and should be trained on pest issues. Tip: A landlord or property management company may have to assist with and handle the treatment depending on laws and codes in your area. Tip: This process could take weeks to months before the pests are gone. Tip: Treat bedding and clothes in a hot dryer to kill bed bugs and their eggs. Keep all infested items in trash bag and take immediately to an outside trash container. Tip: Seal vacuum bag and dispose in an outdoor trash container. Tip: Make sure you destroy furniture and indicate “bed bugs” on it so if someone considers bringing it into their home, they won’t be tempted to take the item(s) and end up with their own bed bug infestation. Tip: Put bed bug covers on the mattress and box spring. Tip: Read the Environmental Protection Agency’s (EPA) bed bug treatment tips if you plan to try the do-it-yourself method. Tip: Heat and cold treatments (non-chemical) include hot dryer or freezer treatments. If using pesticides, be careful and follow the instructions, especially with foggers or bug bombs. Tip: Check for bed bugs after each treatment, and try to kill eggs if they are present. Tip: Interceptors are traps that catch bed bugs and prevent them from moving around. Note: Before use of any of the bed bug pesticide products, the EPA suggests contacting a pest professional to look at your home and recommend a pesticide to use for the infestation. The EPA’s rules and tips are available online here. Stains, sweat, and pets can cause odors on mattresses. If you’ve already spot cleaned and removed mold from your mattress and it still has an odor, it’s likely coming from something else. Mattress odors can be a nuisance, and can deter you from getting a good night’s sleep. If you’re concerned about the odor, there are ways to address the issue at hand and prevention methods, too. Mattress odor should be addressed immediately, because if it’s not taken care of, it can become worse. Luckily, the steps for odor elimination are pretty easy and can be done regularly without taking up a lot of time. Having a clean mattress can really impact your sleep health, plus a regular cleaning will help protect your investment. Cleaning, restoring, and refreshing your mattress is one step in making your mattress last longer and improving your quality of sleep. Follow these steps to freshen up your mattress and get rid of odors. Tip: Place bedding in the washer immediately and wash linens in hot water to kill dust mites. Tip: Consider taking your mattress outside (literally) to air out in the sun, if you can. Mattresses are used to being in the dark, and air ventilation and sunshine outside will help freshen up your mattress. Tip: Let the baking soda sit for at least 20 minutes or up to an hour. For tougher odors, let the baking soda sit for even longer. Consider using essential oils with the baking soda. Tip: Make sure your vacuum is equipped to handle the job. Consider investing in a Dyson V6 Mattress Handheld Vacuum — it is made specifically for mattress cleaning. Tip: Both products (Lysol or a home deodorizer) will deodorize your mattress, leaving it smelling clean and fresh. Sources: Sleep.org, Today.com, and Huffingtonpost.com. Mattress protectors are a fantastic way to protect your investment — and should be considered especially when you purchase a new mattress. It’s so much easier to assemble your new bed when you have the mattress protector ready. Plus, they aren’t very expensive and they cover the actual mattress. The good news is, even though a mattress protector does cover the whole mattress, it does not change how the mattress feels or functions. A mattress pad doesn’t offer the same level of protection as a mattress protector. The mattress pad is typically used for adding another layer of comfort underneath your sheets. It does protect against spills and accidents a little bit, but is not nearly as protective as a mattress protector. Depending on the mattress, many people will consider a mattress topper to add more comfort to the mattress. In that case, the mattress topper takes the place of a mattress pad. A regular mattress cleaning schedule can help keep the allergens, odors, and stains away, which will help you sleep better. It’s good practice to clean your mattress monthly, or at least twice a year, or when the seasons change. If you have a mattress that needs to be rotated and flipped, make sure you’re doing it regularly and at least when the seasons change. This action will help your mattress wear more evenly. Also, sleeping in the same position every night can cause more wear and tear in the same places on the mattress. Beds that are newer don’t need to be flipped, but a regular rotation is recommended. To avoid unevenness, rotate a new mattress (from end to end) every two weeks and then after you’ve had the mattress for about four months, rotate it once every three months. Note: some mattresses, especially those with pillow tops, should not be flipped. Make sure to check the mattress warranty for information about your specific mattress. Read more about how to care for and clean your mattress. Learn cleaning tips for beds and mattresses from HGTV.com. This is an easy-to-read guide to keeping a clean bed and mattress to help prolong the life of your investment. Read a Lifehacker article about a mattress cleaning technique using hydrogen peroxide, soap, and salt. You probably already have all of these ingredients at home! Five secrets to cleaning your mattress from Architectural Digest. Here’s a few great tips to keep you up-to-date with your mattress cleaning routine. A little more about what to do when accidents happen! Read a story by Esquire on tips for cleaning your mattress for different issues. Here’s a story about how to care for your mattress and protect your investment from Forbes. 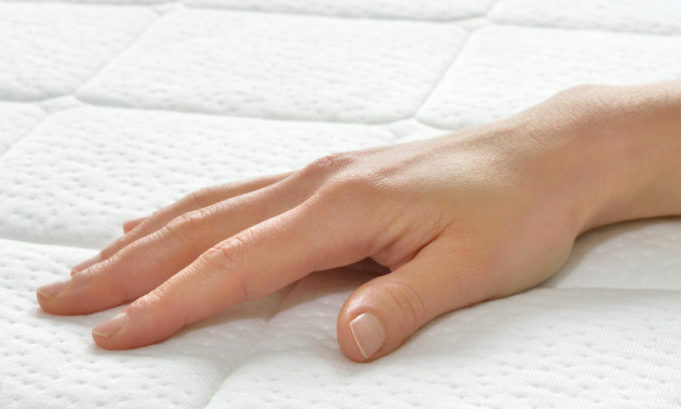 Find out more about how to clean a mattress by The National Sleep Foundation. Learn some of the best ways to care for your mattress by The Better Sleep Council. Read more in this article on BHG.com on how to clean a mattress. Here’s a super easy Real Simple guide to cleaning your mattress. The article also includes recommended steps and tools for the job. Take a quiz on taking care of a mattress by The Better Sleep Council.